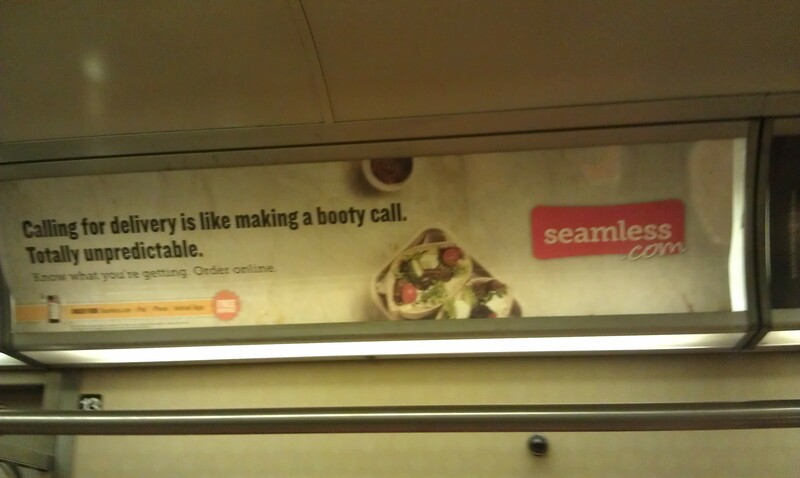 The thing that makes these ads so addicting (can you tell I’m a marketing nerd?) 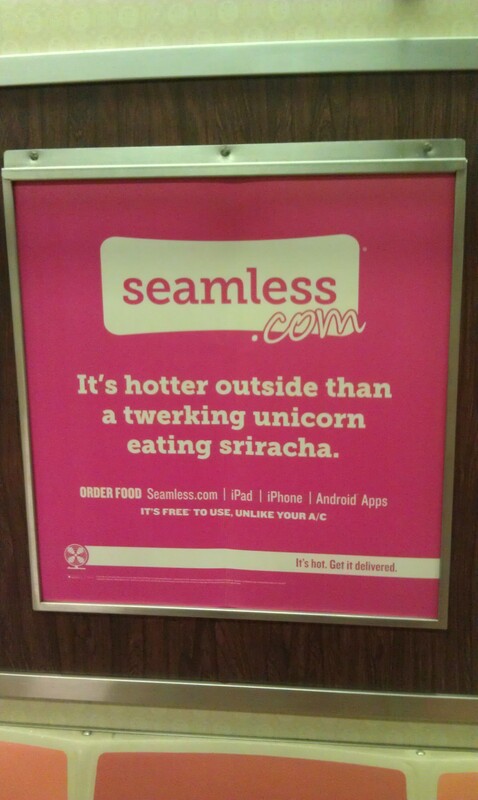 is that they are current, and appeal to their young audience perfectly. My generation strives to be authentic, and we like to publish our weird quirks, as is evident in our Twitter accounts filled with “just got out of the shower” and “tacos make me gassy”. 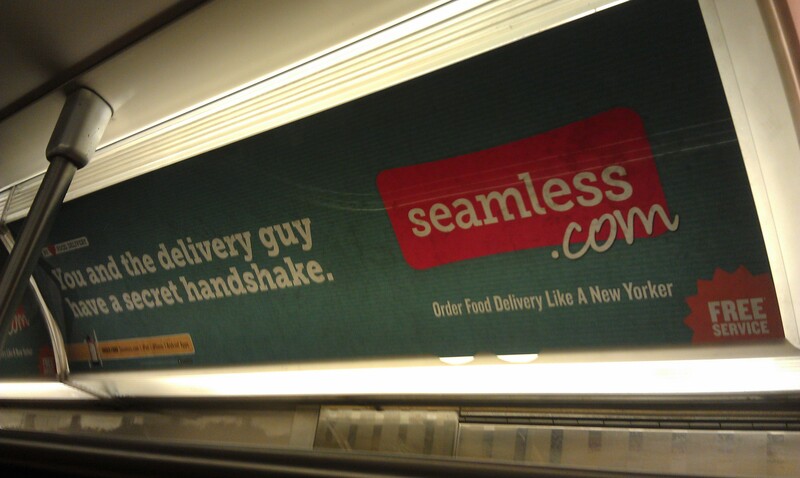 Seamless takes this brutal honesty and spins it to suit their service. I like this one! I love when there are a variety of things to read on my subway ride and not just a blast of the same single message over and over. This is the same message, but it keeps the reader engaged and makes me smile.